Deliciously sky-high: How to create a culinary masterpiece in the air? International experts judge high-flying cuisine aboard airplanes. The food industry feeds people not only on land but also in the sky, and every chef has his own secrets for creating a special menu that millions of passengers can enjoy. 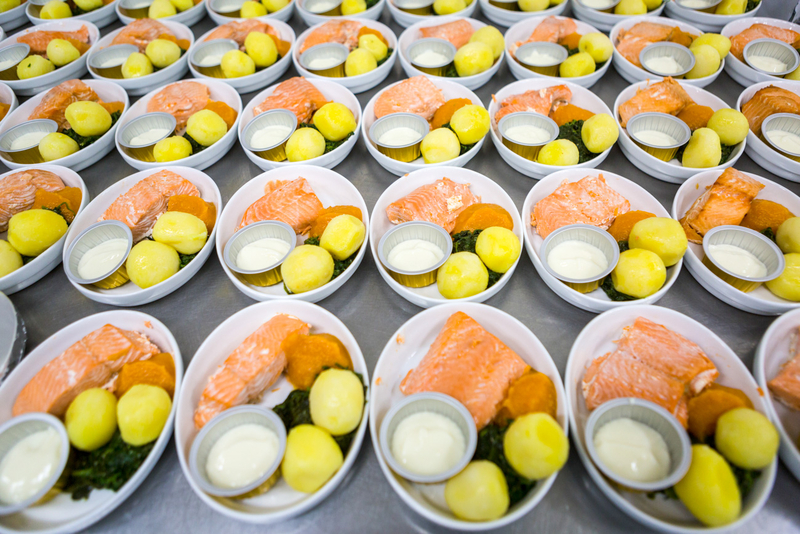 The first SKY DELIGHT AWARDS onboard catering competition took place in Moscow, with international culinary gurus creating menus for the world's leading airlines, including Russia's Aeroflot. The jury evaluated not only the taste and quality of dishes, but also their potential for use in airline menus and for adaptation to various temperatures. Usually, a few hours pass before dishes are served: after cooking, they’re cooled and then reheated aboard the plane. The challenge, however, is to make sure the food does not lose its taste and appeal. Among the participants was chef Thierry Mona from Switzerland, a well-known specialist of onboard food who creates menus for Aeroflot's business class. With 30 years experience, his dishes are popular in many countries, and he has catered for 60 heads of state, as well as famous international and Russian performers, celebrities and athletes. Today, he’s head chef at Aeromar. "My experience varies, but I try to make new creations and meet new challenges each day. You need to remember everything you know about cuisine, and create new recipes, adapting them to the plane. By the way, Russians are the most demanding in preparation of such dishes," said Mona. It’s difficult to make gastronomic masterpieces in the air, and onboard cuisine requires quality ingredients that must preserve their taste in various temperatures. Moreover, the taste of ingredients can change in the air, which is why chefs tend to add more spices and herbs, making the taste more intense, vivid and filling. Service is also difficult onboard: the uniform plastic boxes and modest containers for the main courses are not always attractive. "Creating the menu and serving dishes is a difficult process," said Mona. "I create many varieties, usually three times more than what is eventually accepted. Knowing Aeroflot's demands and preferences, we propose original recipes, prepare presentations and select what we think will be most enjoyed. With sanctions initially we faced difficulties and couldn't get the produce we needed, but now we no longer have such problems. We've found excellent Russian produce that can even be exported to Europe." Passengers have a wide selection of dishes, with about 20 types of menus, including vegetarian, diet, Kosher and special children's menus. Vladimir Jao, general director of Aeromar, Russia's leading onboard food company, announced the winner in the race to please passengers. "Today, many companies offer passengers restricted and spartan conditions to help reduce ticket costs. But this will change, and people will again choose airlines based on comfort, safety and quality service. The company that introduces the most interesting conditions will win," said Jao. Experts now see a craze for Pan-Asian dishes, and the SKY DELIGHT AWARDS 2017 proved this. First prize went to Masahiro Udo, a chef at Tokyo Food Catering; second prize, with a difference of just 0.5 points, went to Kuon Jguen Kin from Vietnam. A pleasant surprise was Mikhail Denisov, a Russian chef from Kuban Catering, who came in third. Also in third was Danai Kaevpradub, a Thai chef from Thai Airways International PLC Catering Department.